The following map (based on Eurobarometer 386, 2012) shows a few interesting trends. Probably the most surprising is how low the percentage of Italian speakers in Spain is, but this is probably due to high mutual intelligibility of Italian and Spanish (and hence low motivation to learn the other language to a conversational level). 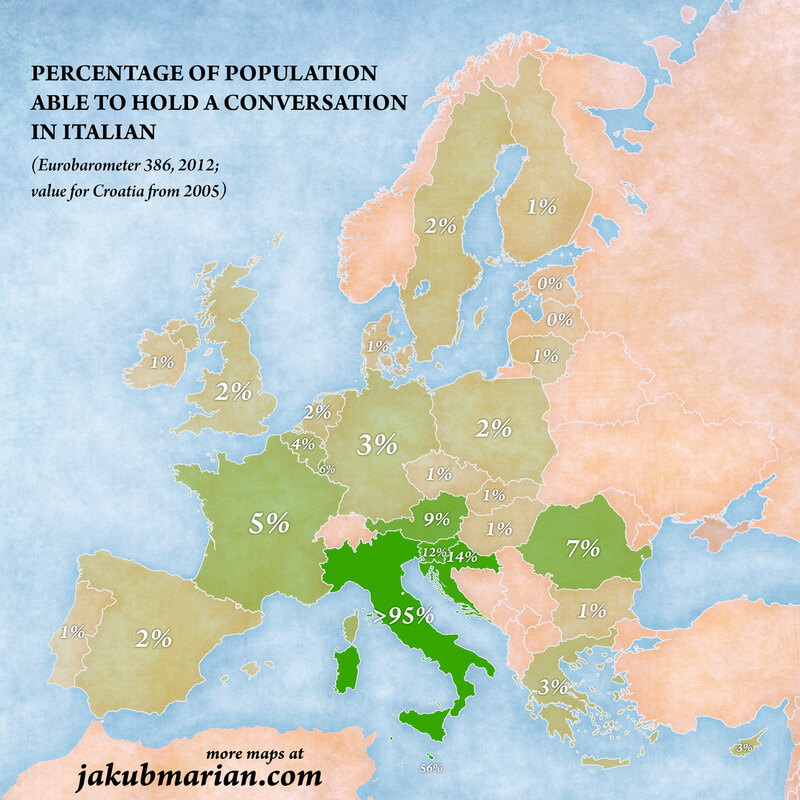 According to Ethnologue, around 95% of people living in Italy speak Italian as their mother tongue, and according to the Eurobarometer 386, around 1% speak it as a second language. Since the true number of its speakers is hard to determine due to immigration and emigration, the percentage for Italy is shown as “>95%”. Note: Croatia wasn’t included in the Eurobarometer 386 survey, so the figure for it is taken from Eurobarometer 243 (2005).